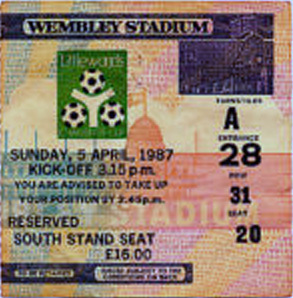 The Littlewoods League Cup Final 1987 was played between Arsenal and Liverpool on 5 April 1987 at the Wembley Stadium. 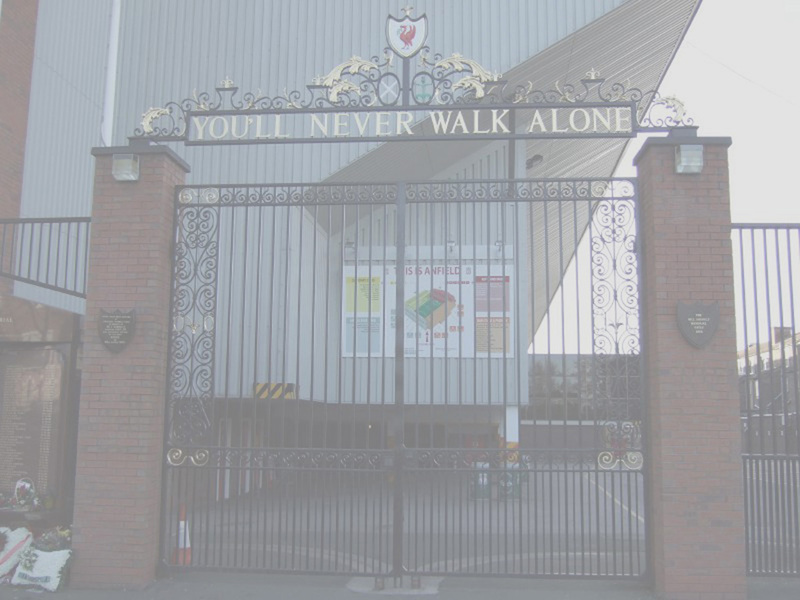 In this match, Liverpool losed the match to Arsenal with a final score of 1 - 2. 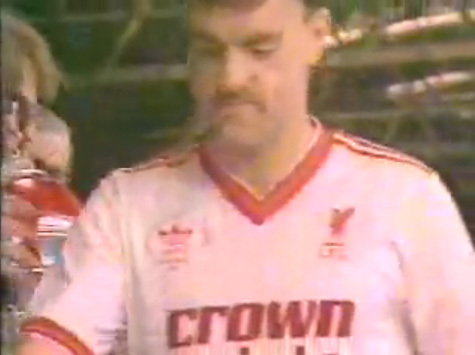 It broke the record that in a match which Ian Rush scores Liverpool will win the match.. 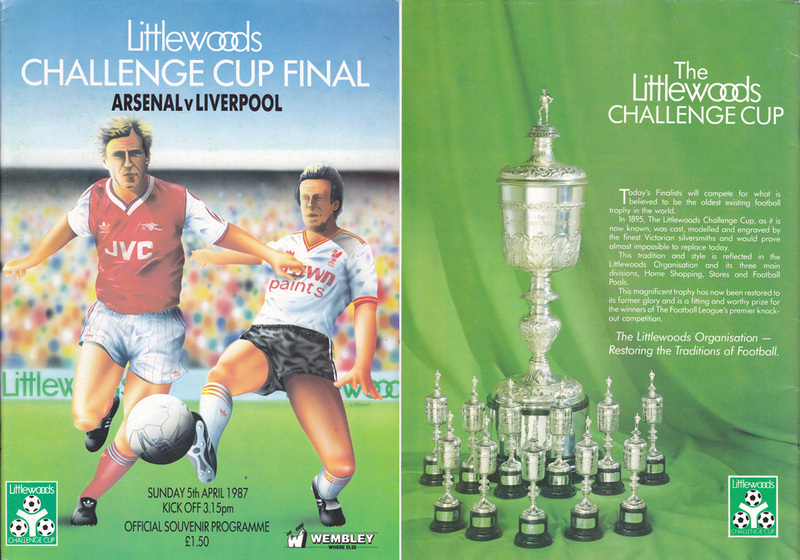 Match programme of the Littlewoods League Cup Final 1987 - played on 5 April 1987 at the Wembley Stadium. Proposed squad for the match as printed in the match programme. 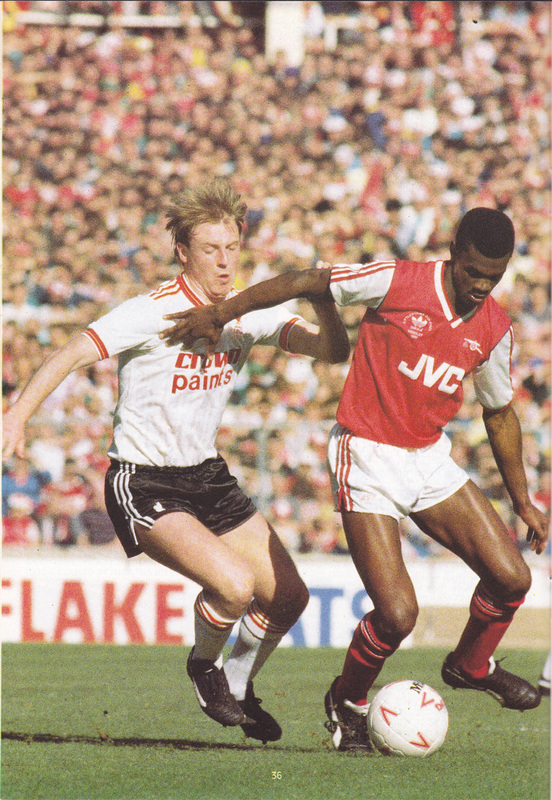 Nigel Spackman and Alan Irvine were the two named substitute. 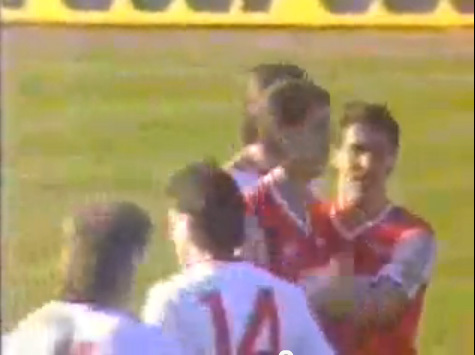 Featured Ian Rush scoring at 23 minutes of the first half. 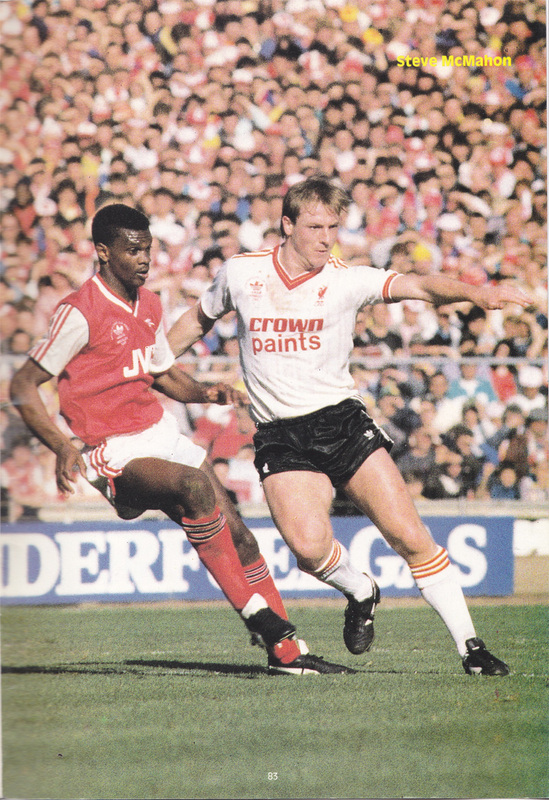 Featured Steve McMahon in match action. 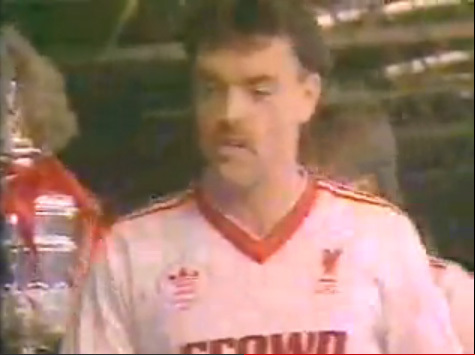 Featured John Wark in the post match presentation stand. 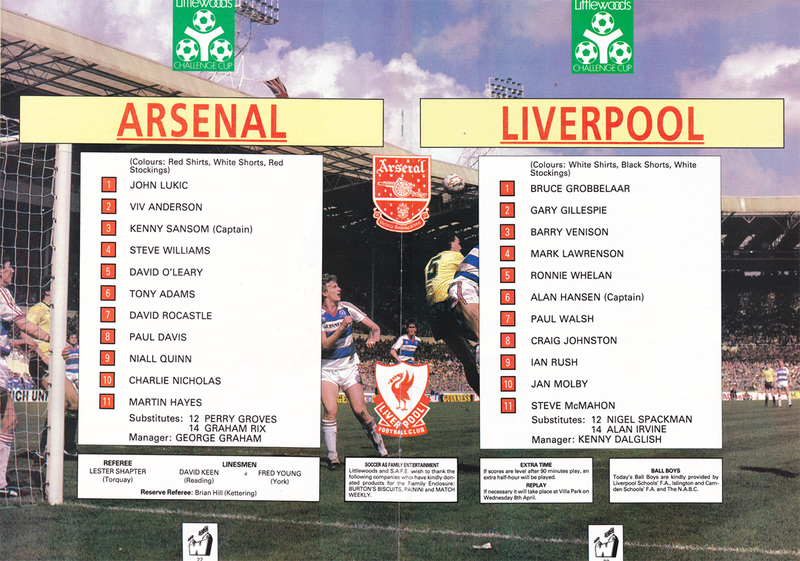 Although Nigel Spackman and Alan Irvine were named as the substitutes of the match in the match programme, player manager Kenny Dalglish (number 12) and John Wark (number 14) appeared as used substitutes at 73 and 87 minutes respectively. 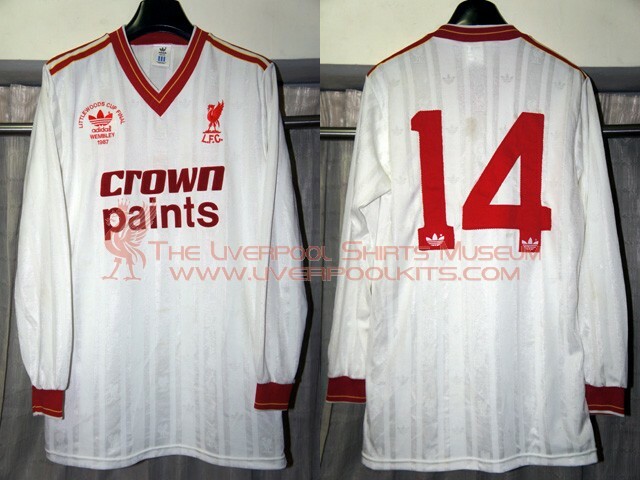 Liverpool 1987 Littlewoods League Cup Final Player Shirt - This is a long sleeved match spare unworn shirt of John Wark. 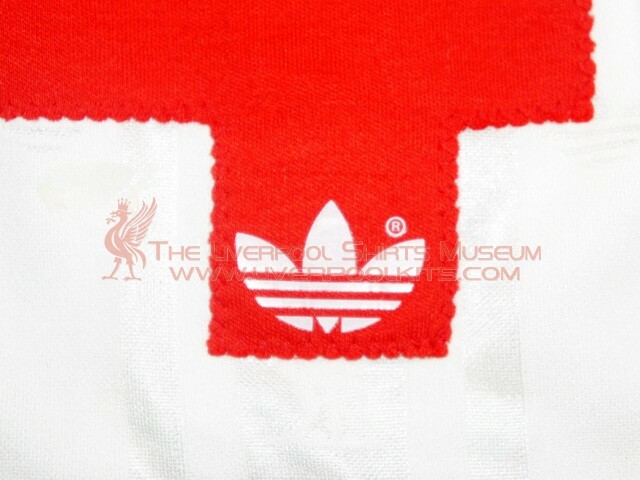 The number on the reverse of the shirt is machine stitched cloth, with adidas motif heat pressed on top of it. 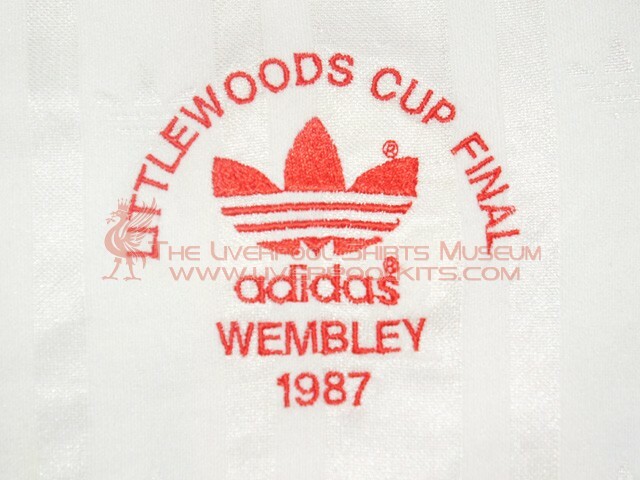 This feature is only found in the 1987 Littlewoods Cup Final shirts.